Brisbane City Hall is one of the most iconic and culturally significant monuments in the Australian State of Queensland. 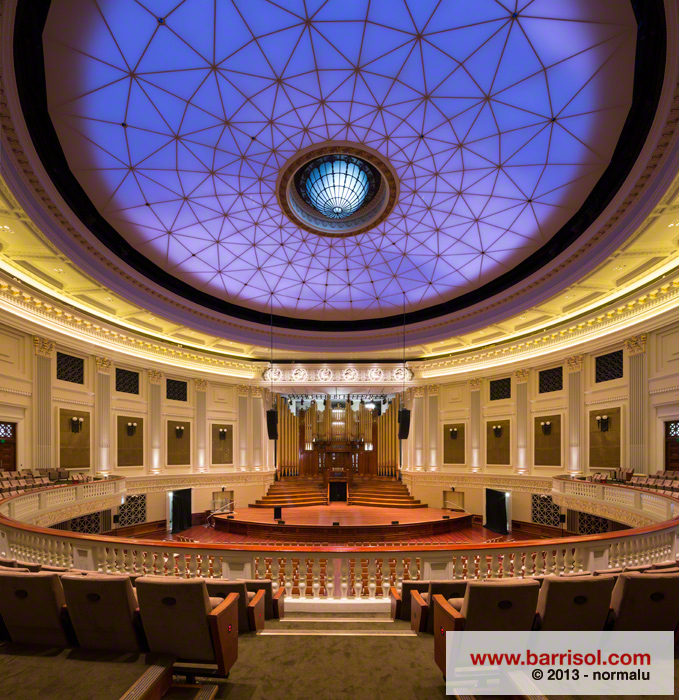 Since opening in 1930, it has been a symbol of civic pride and over the years, has become one of the greatest icons of Brisbane and a place of elegance and greatness. 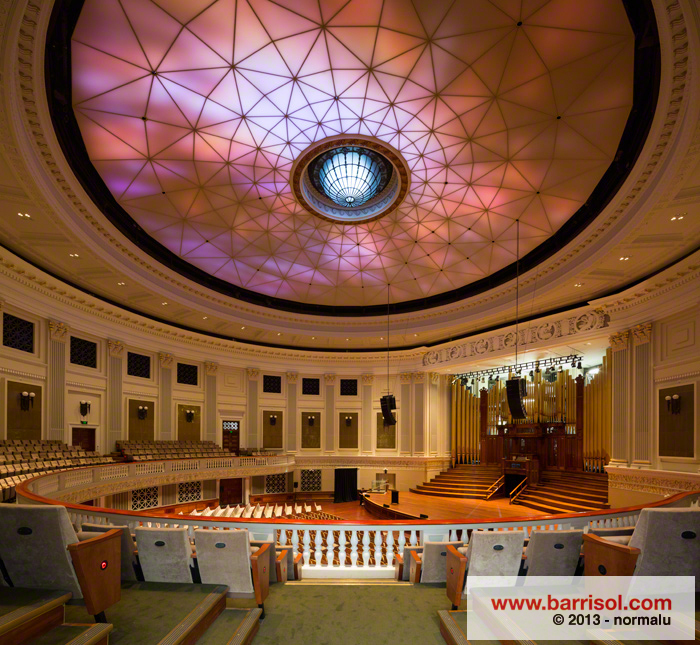 Over the years, many heritage elements of the building fell into disrepair, and in 2009 Brisbane City Council began an ambitious restoration. 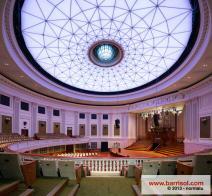 The project aimed at regaining the former glory of the Town Hall and to also create shows for the community to enjoy. The project was to return the building to its original design, whilst balancing it with new and contemporary interiors. Today, when you enter into the magnificent King George Square lobby, the size of the marble stairs and the sumptuous, lit, vaulted ceilings and the mosaics are very elegant and impress visitors. For Barrisol this project required a creative and technically complex approach. They had to manage the sound isolation thanks to our Barrisol Acoustic range, and carry out technical and aesthetic solutions for the LED ceiling thanks to our Barrisol lumière and Barrisol lumière color ranges. Everything was methodically modelled and prototyped to ensure an excellent result; a balance between the demands of acoustic transparency and visual dissemination of LEDs. 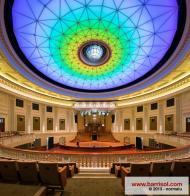 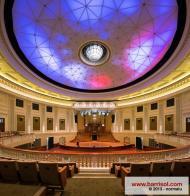 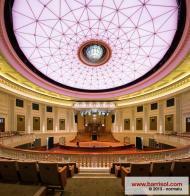 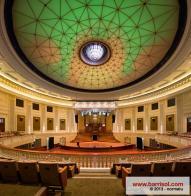 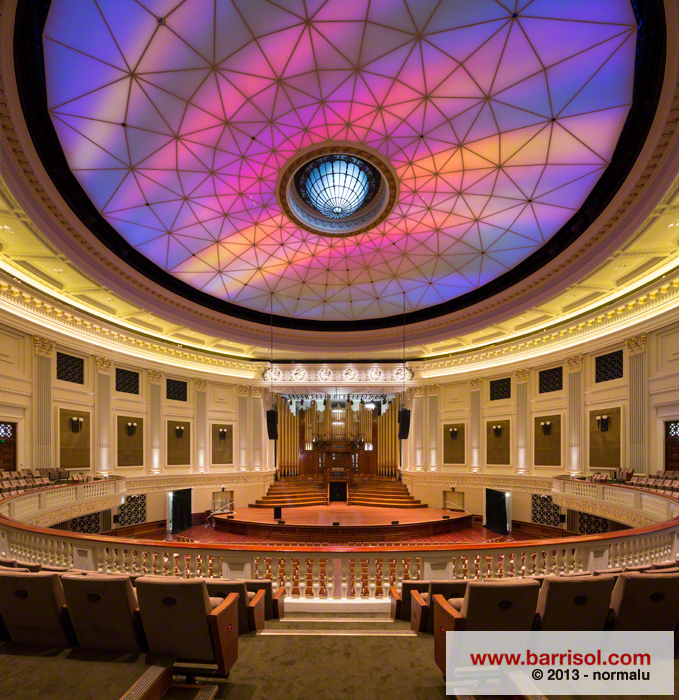 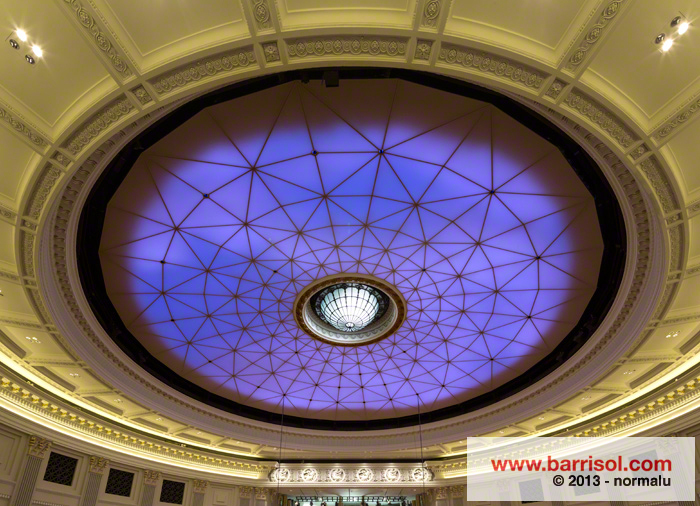 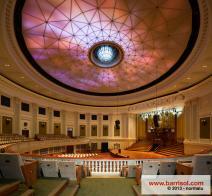 One of the main features of the renovation is the LED backlight of the Barrisol ceiling in the main auditorium. 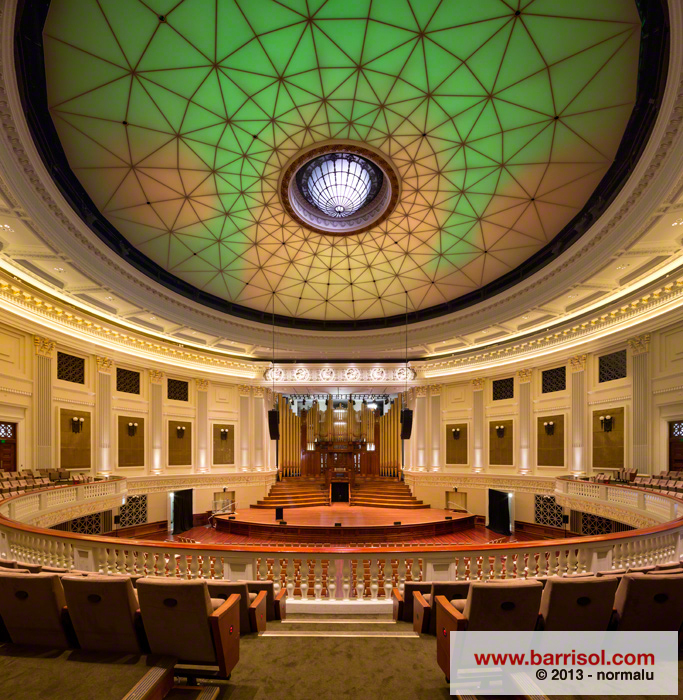 To achieve the desired result had to be made to design a series of aluminium structure to match the curve in the domed ceiling of the auditorium. 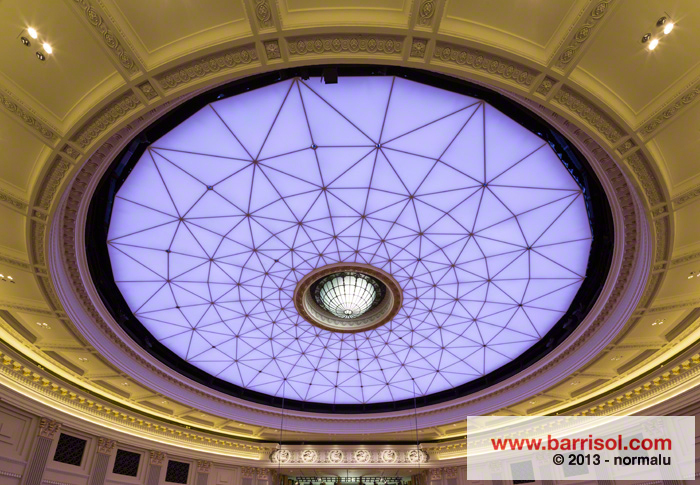 A series of removable frames hung with PVC canvases acts not only as a device for steadying the LED backlight, but also to provide a way to remove the fittings if necessary. 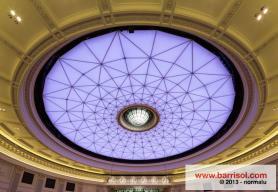 In total the whole system consists of 3.2 km of aluminium and about 5 km of Barrisol PVC and nearly 6,000 individual directional LEDs.